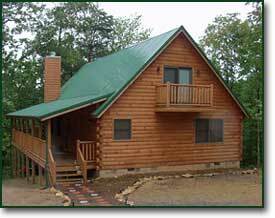 Log cabin plans will get you started on building your dream log cabin or home. Renting a cabin is a great way to spend your vacation, but how would you like to plan and build your own log cabin? The natural beauty and comfort of a log home or cabin is something you aren't going to find in a traditional home. The comfort of a country lifestyle is the desire for many to pursue building their own cabin. The process of doing research to find out exactly what you want in a cabin is very simple. Listed below are some books to get you started on deciding what your cabin will look like, what style will it be, how big it will be, what features you want, techniques for building, and terminology so you can better understand the process. I would even recommend staying in several different cabins in different locations of the country so you can decide what kind of climate you can live with, how you want your cabin designed, and what you would change. Anytime along in this process you can start looking at log cabin plans. With these plans you can decide how you will lay out your furniture, who will get which rooms and many other details. Looking to remodel? Find a contractor to help you with your project. Decide for yourself what your cabin will be used for. Are you building to give your whole family a retreat in the mountains? Will you be building to have friends vacation with you? Is this a permanent residence? Maybe you would like a small retreat to get away from it all and enjoy the beauty of God's creation with just you and your spouse. Whatever you want you can have a look at some really nice log cabin plans here. You can even download and print out individual plans to study. The cabin to your left is one of my favorite plans. I'm very partial to large covered porches. They add a real nice extension to the livable part of the house. You can have a look at my favorite plan here. Get started with your log cabin plans today. Don't forget the most fun part about building a log cabin...you get to decorate and furnish it when you're done with the construction! There is a wonderful company out of Tulsa and Waukomis Oklahoma that specializes in log cabin decor that has everything you could possibly need to decorate your log cabin, lodge or home. Whether you need bedding, lighting, dishes, accessories for the kitchen, bath, or bedrooms, or whether you need, accessories for the garden or even gift ideas Black Forest Decor has your decor.